This stein has an elegant two-tone blue and white glaze with a gold wrap-around design. A timeline of events for the design and construction of the Titanic begins on the left side with 1902-1903 first plans of the Olympic class ship drawn up and ends on the right side with 2012 One-hundred year anniversary of the sinking of the Titanic. 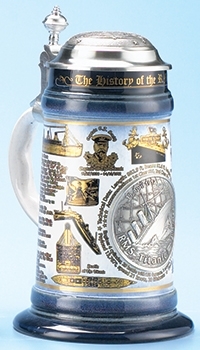 Fixed to the center of the stein is a detailed pewter badge with an image of the Titanic sinking along with the date of the historic event. 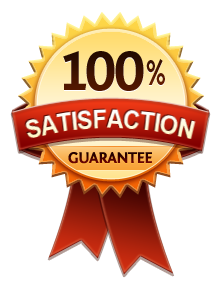 The badge is encircled with the technical specifications of the ship. Along the top border are the words, The History of the R.M.S. Titanic. Completing the piece is an ornamented pewter lid with a pewter Titanic replica figurine. Limited edition of 5,000 individually numbered pieces.